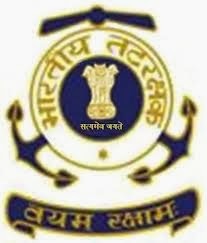 About Organization: Emergence of the Coast Guard in India on 01 Feb 1977 as a new service was the result of an awareness that had been growing for some time in the Government for the requirement to enforce National Laws in the waters under national jurisdiction and ensure safety of life and property at sea. It was also considered desirable that these law enforcement responsibilities should be undertaken by a service suitably equipped and modelled on the Coast Guards of advanced nations like USA, UK etc leaving the Navy to exercise the fleet for its wartime role. How to Apply: Eligible candidates can send their applications in the prescribed format as given in notification on or before 30-01-2014.